How Can You Help Your Employees With Work-Life Balance? Last week, I addressed ways an employee can find work-life balance. This week, I’d like to focus on the employer and how they can keep their staff motivated by providing an environment that values work-life balance. We can no longer ignore the fact that the majority of people spend more hours at work than they do with family or friends. Trusting employees to self-monitor rather than punch a time clock. Some examples where this can be used include: when coming in late, making up the time later in the day; coming in early and leaving early; and, going to appointments on company time and making up the time. When possible, incorporate a work-from-home policy, even if it is only a few days per year, like during major snowstorms. Virtual meetings can help employees that would find it challenging to be on site to attend. Appreciation does not have to be monetary. Make yearly anniversaries with the company an extra paid time off day to show staff their employer remembers and appreciates their tenure. Present high-performing employees with family vacation packages in addition to, or in place of, yearly bonuses. Keeping employees informed of your existing benefit programs are important, but do they understand how to use your Employee Assistance Program? Provide simplified access and ongoing communication and training to ensure employees are well-informed of the advantages and how the benefits can be used. Every age group desires balance and flexibility while they manage their professional and personal interests and responsibilities. It’s time we start looking at the stress we can reduce for our staff, which can increase the opportunity for positive mental health to flourish. While you may not be able to initiate all of these suggestions, even tackling a few will help employees see your organization’s concern for true work/life balance in the workplace and could keep them dedicated, productive, and emotionally healthy. 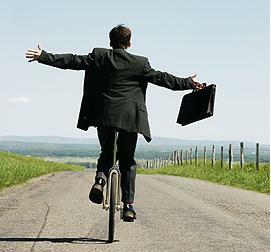 As an employer, what things do you feel you need to create a better work/life balance for your employers? What creative ideas have you offered your employees that have resulted in great success, and could you share any of them with our followers? I look forward to reading your feedback below. Categories: EAP, Job Performance, Mental Health, Wellness, Workplace | Tags: Anxiety, Appreciation, BEnefits, Employee, Employer, Flexibility, Mental health, Priorities, Stress, Telecommuting, Wellness, Work-life Balance | Permalink. How Do You Find the Time for Work-Life Balance? Do I feel like I’ve lost control in areas of my life? Do I often feel guilty that I have neglected some roles at the expense of others? Do I find it increasingly difficult to focus on the task at hand? Does it seem like I always feel tired? I’ve always believed we are unique individuals, sharing similar experiences. Thus, work-life balance has a different meaning for each of us, but the majority of us know when we’re not feeling balanced. I’ve compiled some suggestions on how to find some ways to achieve that balance, whether at work or at home, that I’d like to share with you. With wage freezes and budget cuts, I understand that getting your employer’s support can be achieved when you are clear on what YOU need to ensure optimal work-life balance. Take some time to look into the programs, benefits, and policies available to you. Schedule 10-minute breaks every two hours (even a walk to the cafeteria or outside for fresh air). This will increase what you accomplish at the end of each day. The to-do list you prepare for the next day needs to be realistic given the hours to do the tasks. Turn off your email program to avoid distractions while focusing on tasks. Turn off electronic devices when you are not scheduled to work, so there is no distraction during your “downtime”. Prioritization is a key to balancing our obligations and desires. We want to be a successful employee, have a healthy and dedicated relationship with our partner, be an involved parent to our children and supportive caregiver to our elderly parents, and have time to spend with friends. When we determine what is important to us (eg. spending time reading with our children at the end of the day instead of working overtime to finance the dream house), we can put some things aside to do (or not to do) at a later date. . There are only 24 hours in a day, so if we are working towards our goals of achieving our masters degree while holding on to our 9-5 job, we need to check in with ourselves periodically to set ourselves back on a balanced track. According to Statistics Canada, employees who considered most of their days to be quite a bit or extremely stressful were over three times more likely to suffer a major depressive episode, compared with those who reported low levels of general stress. I encourage you to take steps to protect your mental and physical health by bringing all aspects of your life into balance. 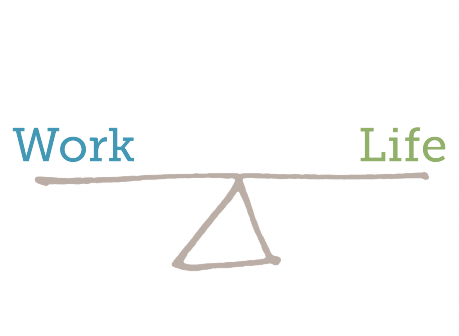 Do you think you have a good work-life balance? Is it possible in our world today to achieve work-life balance? I look forward to hearing what works for you for balancing work and family in “Comments” below. Categories: EAP, Mental Health, Wellness | Tags: Balance, Control, Downtime, Emotional Exhaustion, Exhaustion, Family, fatigue, Health, Life, Mental health, Stress, Work, Work-life Balance | Permalink. As we embark on the beginning of another school year, the majority of the focus is rightfully on the university and college students who are transitioning into a whole new phase of life as they enter post-secondary education. As September approached, I saw a great deal of literature that offered advice to the students about what to expect from their first hours, days, and weeks at school. I did not, however, see very much advice for the just as large population of parents of these new first-year students. As a mental health professional and parent, I’ve collected a few nuggets of wisdom when it comes to supporting your child and new student in this transition. Stay organized to avoid stress: Nothing is worse than being emotionally fragile and disorganized. Make sure you have the correct information and paperwork, and that you have made your to-do lists and shopping lists. This will help you feel prepared and armed to handle the exhaustive and emotional process of moving in your child and saying goodbye. Encourage your child to try everything: The first couple of days at university and college are designed to appeal to a variety of needs and personalities that help students orient themselves with their new surroundings. While your child may not want to throw themselves into new activities or get-to-know-you games, encourage him or her to try everything that is offered in these first days so that they stay busy and occupied. Know that homesickness and discomfort are normal: Remind your child that every student feels the same way: new, awkward, and uncomfortable, and this is completely normal! If your child calls you feeling homesick and sad, avoid rushing in to rescue them from these feelings, because they are an important part of acclimatizing to their new environment and learning valuable coping skills. Make yourself aware of the resources: Your child has a lot on their mind when they arrive to school. They are trying to feel comfortable in their new space, trying to meet people and get oriented in their new home. It wouldn’t hurt for you to familiarize yourself with the resources available on campus and within the school’s housing and residence structure. This way, if and when you see your child struggling or uncomfortable, you can make recommendations and direct them to help. Be prepared for them to make mistakes: As you probably know from your own experience as a young adult, your child is not perfect. They will make mistakes this year, and these mistakes will help them learn and grow into a better person. While you may be disappointed in certain decisions they make, be there for them and work through it together. Try not to smother them: This time in your child’s life is crucial to their development into a self-sufficient and responsible young adult. Give them the space they need to discover who they truly are and what makes them happy. The first few weeks of this transition will be hard for both you and your child, but this is what you’ve worked so hard for – a child who is capable and responsible. Trust that they can take on the world, and know that even though you may not always be physically with them or actively guiding them, you are still the biggest influence in their life. Remember that everyone is different, and no two parents will handle the situation the same. That being said, how are you managing during the first days of the transition? Share your experience with me below. Categories: Mental Health, Secondary Education, University/College, Young Adult | Tags: college, Freshman, Post-Secondary, Residence, resources, School, student, Success, Transition, university | Permalink.